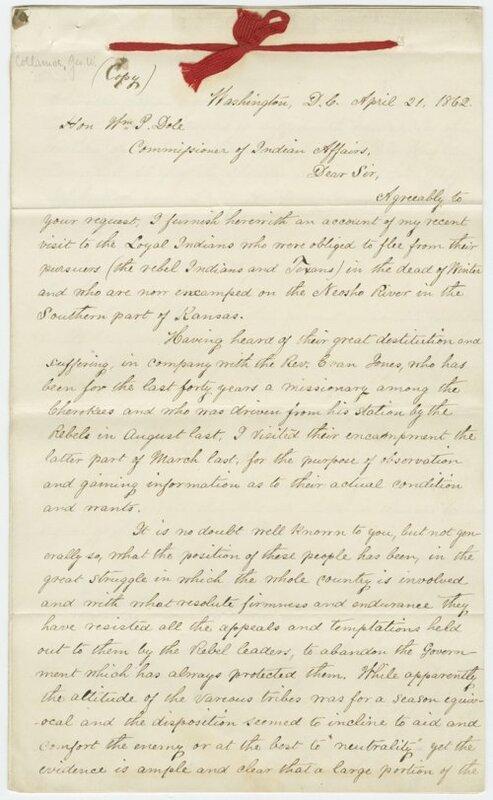 A letter written to William P. Dole, Commissioner of Indian Affairs in Washington, D. C., from George W. Collamore in Kansas. Collamore describes the horrible living conditions that the Creek and Cherokee have been living in since the war started, having their homes destroyed, their livestock chased off, and having little food, water, or shelter. Collamore pleads assistance be given. Opothleyahola and his daughter are also mentioned in the letter.